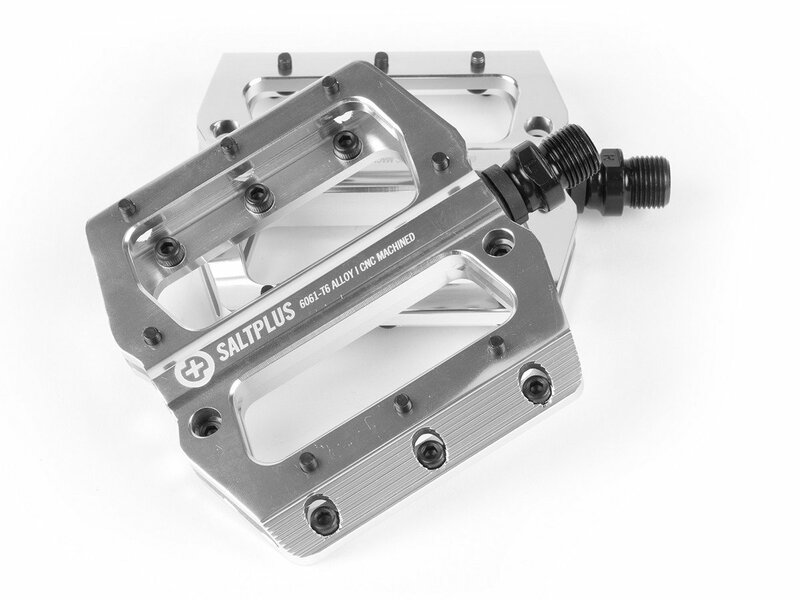 The SaltPlus "Echo" Pedals are equiped with sealed bearings and a CrMo axle to increase the durability. To ensure the grip, screw-pins are interchangeable at any time. 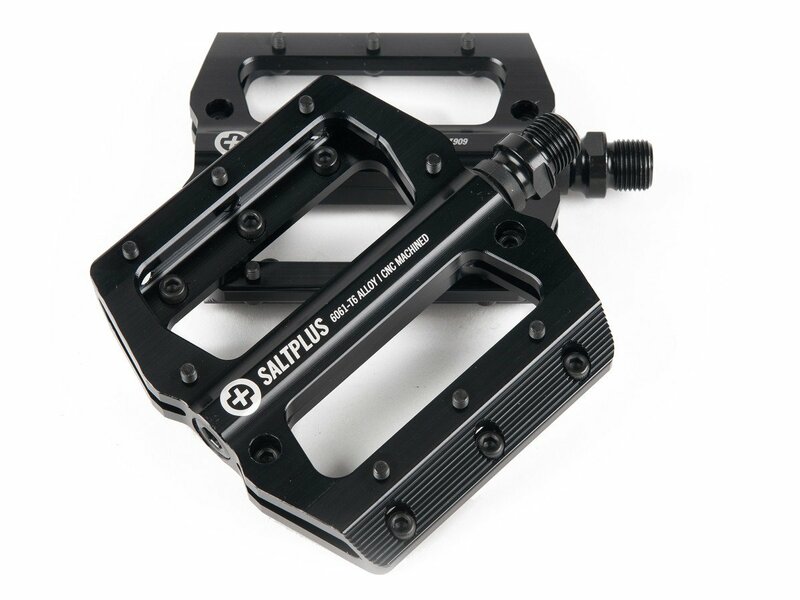 The SaltPlus "Echo" Pedals are made of aluminum and weighs only 492g the pair.